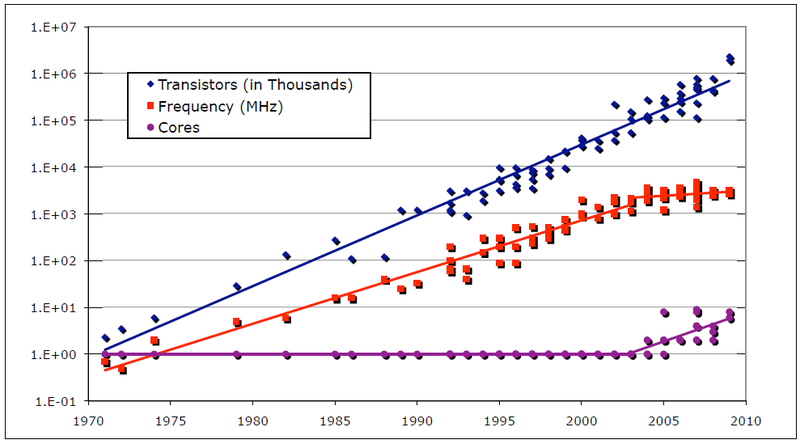 To make all a bit more complex for software developers, it is expected that Moore’s law prediction will remain in the following years as well. It will be achieved by constant increase of the number of cores a processor will have and not by increasing processor frequency. Parallel and concurrent programming approaches are in essence different. Parallel programming means executing programs faster on parallel hardware, while concurrent programming means explicitly managing concurrent execution threads. But, one thing they have in common – both are very hard to implement and maintain! The problem with concurrent approach is the non-determinism, caused by concurrent threads accessing shared mutable state. In order to get deterministic processing, we should avoid the mutable state. Avoiding mutable state means programming functionally. Function should, by definition, using the same set of input parameters to always return the same result. Using this characteristics of a functions, they can be easily run in parallel and thus are a better alternative for multi-core processor systems. Functional programming is one of the programming paradigms. It is for many decades popular in academia and used for scientific purposes. In the last 10 years it becomes more and more practiced within commercial IT companies, too. Most probably you’ve lately heard about programming languages like Scala, F#, Closure etc. which all have a functional programming features. Reactive programming, using building blocks of functional programming, is in hype, too. Functional programming is considered a part of declarative programming paradigm. Contrary to imperative style of programming, where the code represents how to do something, in declarative programming style one writes what needs to be done, without necessary specifying details ‘how’ it should be done. Functional programming gives a higher level of abstraction, better code re-usability, less code duplication (DRY, don’t-repeat-yourself principle), lazy evaluations, easier implementation of parallelism etc. Although not all modern programming languages are functional in nature, they offer the possibilities to write code in a declarative manner. But in order to switch from imperative to declarative programming style, one needs to change the way of thinking and approaching programming solutions. It’s not just a change in languages’ syntax but the change needs to be applied to the semantic (how the problems are being approached and solved). The adoption of functional programming within the development teams is not going that easy. 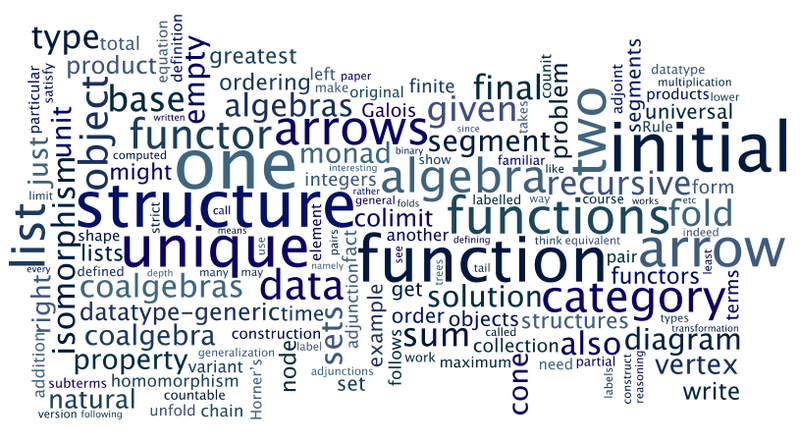 The reasons for that most probably lays to the fact that functional programming is, in general, more complex than traditional structural programming. It has a higher level of abstraction. But, another important aspect is that, most of us who are programmers today, are only thought to think and implement algorithms in a structural/imperative way. This is the case for Serbia but I’m sure it is similar on a global level, too. When you practice something for years, it becomes a habit and habits are difficult to change. We are telling the database to give us all data of employees having a relation to position which name is SENIOR and are older than 40. Quite easy and straightforward. when all records are checked, return employees.name for found records. … or something like this. Our database is smart enough to figure this out on its own and decide how to find and return us what we requested from it (by our SQL statement), in an efficient way. To illustrate similar difference of imperative vs. functional (declarative) programming, here is an example in the latest Java 8 version (but this time in reverse order). The code is much less verbose, easier to read and understand and even possible to execute using multiple parallel threads. By the evolution of programming languages in the recent years, we are having the possibility to express our application code in a declarative manner. The compiler and/or underlying language virtual machine will decide how to execute it. The parallel programming still remains not easy. Nevertheless, programming language designers are keeping figuring out better and more efficient ways to utilize multi-core systems. But in order for this to become reality in practice, we, as software developers, should stop from “micromanaging” everything in our code – telling it how to do something. Instead, we should focus on what our program has to do. Of course, it’s easier said than done, but we need to start taking the functional approach into consideration. Note: This blog post is published at IT Konekt blog, which is the biggest online IT event in region.